So You Wanna Be a Nonprofit Executive? There is a substantial and growing number of full-time and part-time students here working on MPAs (masters in public administration) and they are gaining momentum. These graduate students are part of Baruch’s highly regarded School of Public Affairs. This semester has a full calendar of activities focused on the MPA experience and a new MPA club. On October 19, the Baruch MPA Club hosted Gary Bagley, executive director of New York Cares; and Jack Krauskopf, director of the Baruch Center for Nonprofit Strategy and Management; in a candid, intimate roundtable discussion about what future nonprofit leaders need to know. Krauskopf and Bagley (who holds an MPA from Baruch) told attendees that some of the biggest challenges they’ll face as executive directors are raising money; managing a staff that’s younger and has different expectations from work than previous generations; and managing a diverse set of audiences. Much of an executive director’s time is spent fund raising, and there are many more organizations today competing for a smaller pool of money from funders. To become a good fund raiser, Bagley said, aspiring nonprofit leaders should “become fearless,” “get used to being told ‘no,’” and do what they can to become good writers. Above all, he said, the key to fundraising is relationship building. 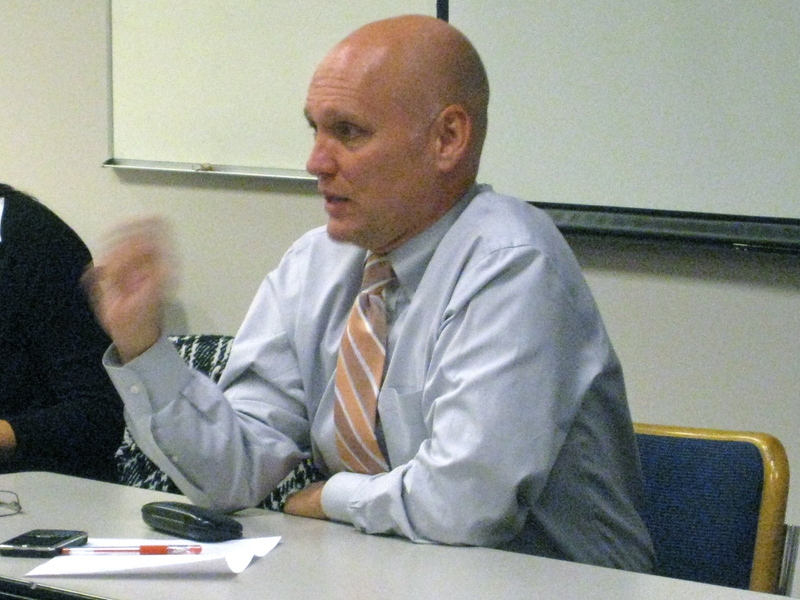 Many of the questions asked during the roundtable centered on finding a job in nonprofits. When it comes to getting hired by a top organization like New York Cares, Bagley said that the cover letter is key. Make your cover letter jump out, and don’t write a form letter addressed to “Hiring Manager.” In your cover letter, make a thoughtful case for why you are the right person for the job. And when you’re job searching, don’t forget that employers do check your Facebook profile and other social networking sites. Many thanks to our speakers for presenting a lively and engaging discussion! The MPA club wants you. Please sign up for our Baruch MPA Students Google Group. You can find us on Facebook.